We’re back to another one of our favorite areas of Dallas.. West Plano!! 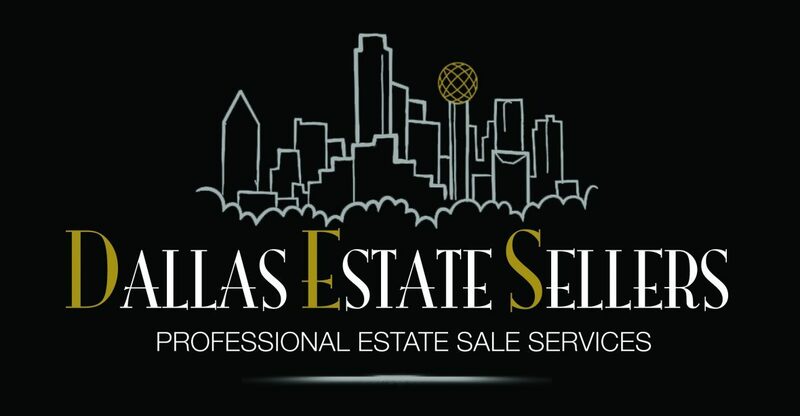 We’ll be right off the North Dallas Tollway near the shops at Willowbend and the Gleneagles golf course. Our next awesome client came as a referral to us earlier this year and after finally getting their home settled we’re able to help them downsize to their next BIG adventure! We are more than excited to be able to help them out! Check out this great home Plano the second weekend of August BEFORE Labor Day! Come by and see us and say ‘hello’ to the gang! There’s something for everyone and it all has to go! Awesome costume jewelry names like Trifari, Napier, Whiteside & Bank, HAR, Star, Selro, James Avery, Jomaz, Karu-Arke and Carol Lee. A small amount of Sterling to Swarovski Crystal and some Vintage to Art Nouveau..
Several great names like Jay Strongwater to Brighton, several iPhones and iPads to check out.. an Eisenhower proof, an uncirculated Carson City silver dollar to a few other coins and collectibles..
Great coin purses from Kate Spade, Vera Bradley, Mary Frances to Juicy Couture and a few Kendra Scott pieces.. Charles Jourdan to Michael Kors, Dooney & Bourke to a few pairs of Ray Ban sunglasses and MORE! Several awesome furniture brands this week.. a handsome pair of matching display cabinets by Century Furniture, a pair of ornate carved leather wingback chairs with nailhead accents also from the Century Furniture Company to several gorgeous Maitland Smith accent tables and a partner’s desk. Henredon bedroom furniture and dining table to a Habersham Wall unit fit for a castle.. an 8-Panel wall mounted screen from ‘Jene’s Collection’ to a ‘Belvedere’ sofa by Lillian August ‘ and damask clamshell sofa from Haverty’s.. a handsome pie crust coffee table to a pair of vintage Adams style caned chairs(Lloyd Paxton Estate).. stunning! An ornate late 19th Century Louis XV gold gilt vitrine from a local Dallas home (the Sterling Estate) to French chairs with needlepoint and throne chairs.. this beautiful home absolutely has what you want! A gorgeous Knabe Baby Grand Piano in ‘polished ebony’.. known for their use of premium materials and durable design, Knabe has an unmatched attention to detail and a beautiful tonal resonance. This week’s piano comes with the PianoDisc feature so you may enjoy any show tune or holiday classic whenever you like! Barely used and in EXCELLENT condition.. add one to your home for your family to enjoy for a lifetime! Waterford to Baccarat pieces, china from Royal Doulton (Sherbrooke), International deep silver silverplate (Countess),and Porcelain from Pacific Rim.. all the pretty things are here with us this weekend in Willowbend! Ginger Jars to Lladro, ornate Vases and Urns, a variety of decorative covered boxes, several accent lamps throughout to a gilt carved accent table and an antique French desk from a New Orleans hotel .. appreciate all this home’s fantastic accessories and choose one for yourself! An awesome cook’s and entertainer’s kitchen this week.. barely used Le Creuset covered casserole dishes, Italian Sur la Table and Cuisinart bakeware.. KitchenAid and Cuisinart mixers, Cuisinart Popcorn maker, a Panasonic automatic rice maker and a Breville percolator to mention a few gadgets and a fun selection of cookbooks, too! Calphalon and All-Clad cookware.. Wilton and Chefmate bakeware for all your kitchen necessities.. nice! Dishes from Villeroy & Boch (Persia) to Vietri, Williams Sonoma to Christmas dishes by Alice Jay Tate, Casa Stone (Madeira Harvest) and Pier 1 (Essential Colors) to choose from.. collectibles by Tiffany & Company (Tiffany Playground) and (Hey did-dle did-dle) to Laura Ashley (Playtime).. everyday cutlery by Target Home.. literally something for everyone! Farberware stainless coffee urn to International Silver Co. stainless serving dishes.. accent chargers and painted serving trays to silverplate and pressed glass serving pieces.. get your holiday party necessities here with us this weekend! Christmas is just around the corner! Everyday bed and bath linens to choose from.. decorative pillows, comforters, sheets to embroidered table linens and placemats.. stock up here! An entire library of books to choose from.. the usual hardbacks and paperbacks, great children’s reading and study guides to coffee table books on Chicago, Yves Saint Laurent and a gorgeous copy of the limited numbered (#377) of the Diane Von Furstenberg Edition for The Collection of the Museum at FIT Fashion Designers A~Z.. exquisite! A definite collector! We have some great electronics this weekend.. it’s an Apple household! A Mac computer, 2-MacBook Pros, iPads and iPods to iPhones! Several Samsung TV’s.. a Pioneer VSX-820 Receiver andDenon AVR-2308Cl Receiver for your home audio needs.. shop it all here! Christmas is just around the corner.. start your shopping here with us! Garland and manger scenes to Santa figurines and stockings. Wrapping paper and gift bags to miniature trees and candles.. Ho, Ho, Ho! A great assortment of tools this week.. Craftsman toolboxes and tools, coolers and camping gear to basic cleaning supplies and a pair his and hers Trek bicycles. It’s all in the garage this weekend..
Beautiful patio furniture this week in terrific condition.. 9pc aluminum table set by Prestige in a bronze finish, matching aluminum chaise lounge chairs to a trio of woven wicker-style adjustable backrest chaises.. either way your in comfort for the rest of the summer here with us! And for you guys we have a MasterForge grill for your cooking pleasure! Woof! ~Women’s Clothing: A superb selection of ladies clothing this week.. names like Calvin Klein, Nicole Miller, Max Studio, Kay Unger, Tahari, Anne Taylor, Nanette Lepore, Joie, North Face, Michael Stars, Abercrombie & Fitch, J Crew, Juicy Couture, Etcera, Charles Gray, O’Neill, Tory Burch, Cole Haan, Ralph Lauren, Vakko New York and Angel of the North..